How responsive are South African corporations to their social and environmental responsibilities? Given the extremes of economic inequality, is business generally proactive in redressing the legacy of apartheid, or does it only respond to regulation?These are among the questions treated in this new volume, based on research conducted for a UN project. It breaks new ground in emerging from a tradition of applied social science rather than industrial sponsorship. It is therefore free to ask and answer questions not usually raised in the debates about corporate behaviour. 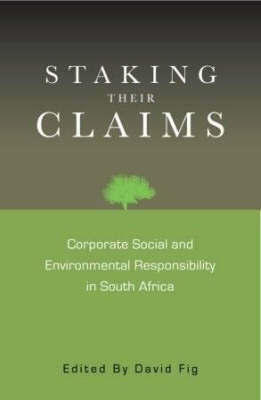 ""Staking Their Claims"" presents sectoral studies on the chemical, mining and food industries. It also examines crosscutting issues such as the response of business to black economic empowerment and the AIDS pandemic. The book provides vital insights for corporate leaders, business schools, social analysts, investors, and those in the field of corporate social and environmental responsibility.